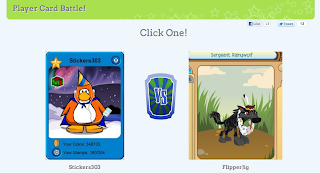 Club Penguin Cheats by Mimo777 Club Penguin Cheats by Mimo777: Get Your Profile Page on FUNHOUSE! Is Mimo trying to get people away from CP? It seems like that. And remember the Color vote in CP? The ONLY reason Aqua won is because Mimo Influenced the voting. It even says so on the Club Penguin Wiki. i signed up because of Mimo777!!! umm mimo why does it say creat my awesome site! after you do all the stuff? LOL! It even says so on some wiki? OMG. You believe everything you read? How long ago was that 3 years? Get over it. You aren;t the real Mimo. But you should be slapped in the face. Dood this is a fake! Mimo never does a comment as anonymous! I have heard alot of theese rumors but why would you beleive some wiki?! And thanks for the feature in the pic Mims. Most likely not, sorry. If it requires an e-mail, you have to use one. Ask one of your parents to use theirs. Or maybe a sibling/relative. Hey mimo,there are shadow ninjas by the top window in the dojo!!! mimo iam helping you! i hope u win! iam getting my friends to help to! Mimo actually made that comment. He monitors all comments and I dont think he would allow one that he didnt make. Besides he is allowed to have thoughts on his own website. I actually agree a little with Mappy26... but found even more evidence! Also, Mappy26, I saw him on cp, lol! I dont think mimo is trying to get people away from cp, but yes, he did make people vote for aqua... which makes him really famous for that! Even though I don't think so, but if you think it like that it actually would make history for being known for doing that. I know the truth but I think you are famous for that! 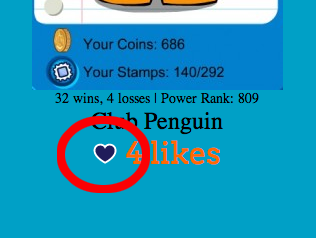 To find it, you will have to search the colour vote 2009 after typing club penguin cheats by mimo777 on google. You will eventually find that evidence. I'll give you a clue, it's somewhere on this website! he told people to vote for aqua and if that color wins he will have a aqua party. If the other colors win his sisters will paint his toe nails in the color that wins and will record it. People need to have a brain, what if they couldn't attend? people, play this game! It's awesome!